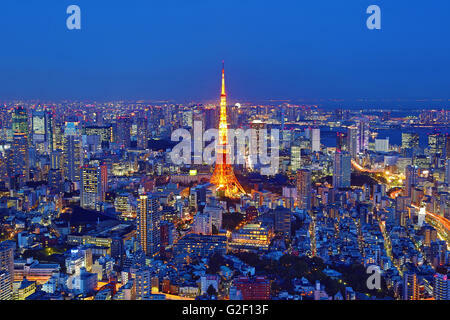 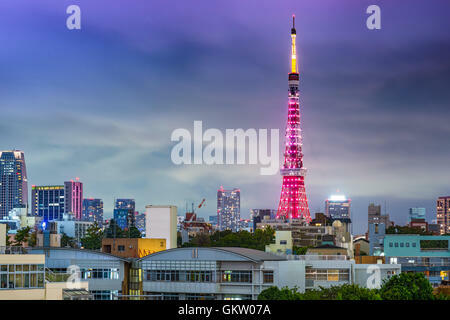 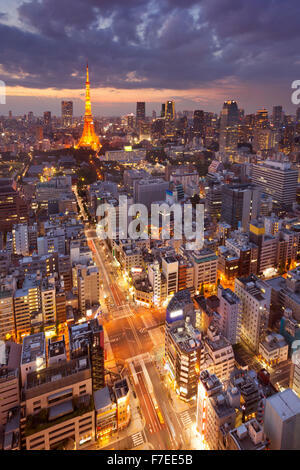 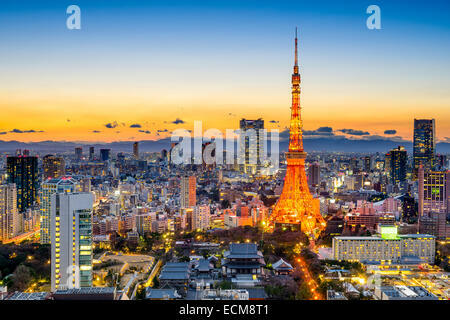 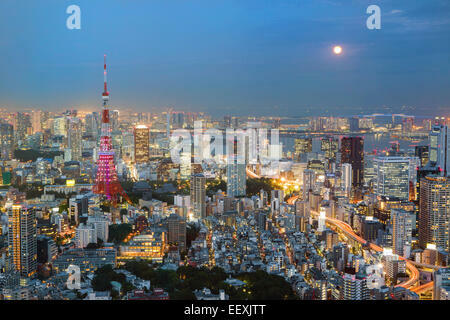 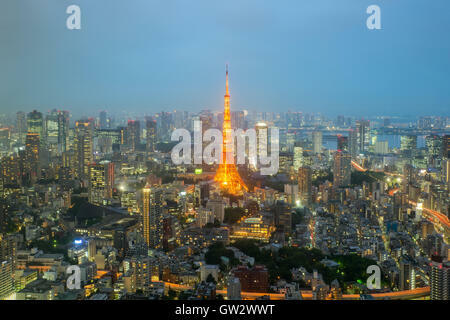 Tokyo; Japan -January 14; 2016: Night view of Tokyo Skyline with the iconic Tokyo Tower in the background. 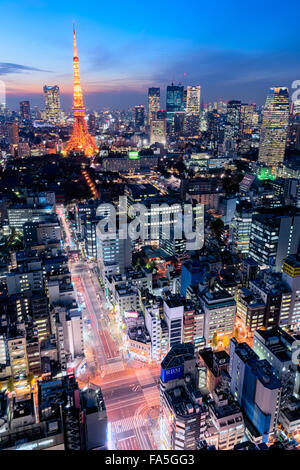 Tokyo, Japan cityscape aerial cityscape view at night. 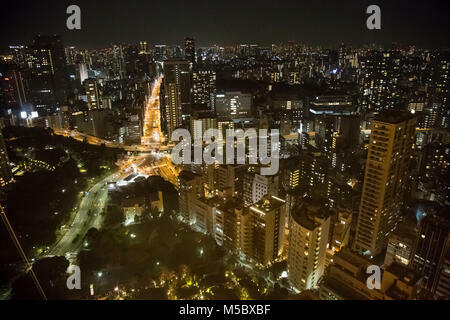 Views of the Tokyo cityscape and skyline at night, from atop Tokyo Tower in Tokyo. 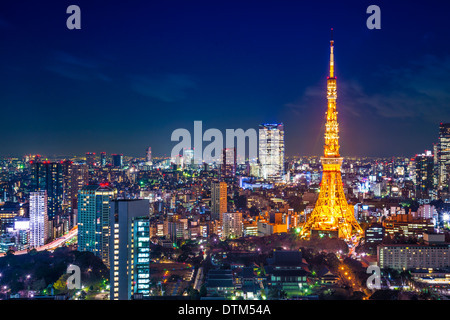 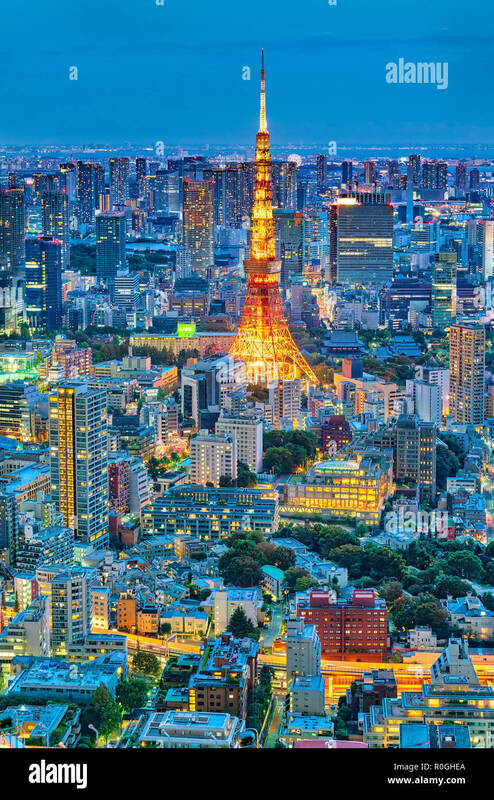 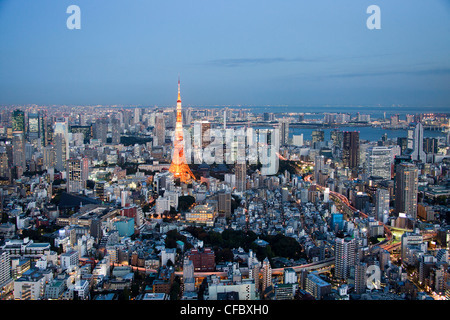 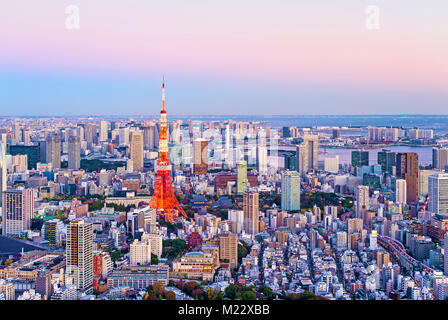 Tokyo, Japan - Dec 12, 2015: Night view of Tokyo Skylines.Tokyo is both the capital and largest city of Japan.